It covers, protects and wraps! 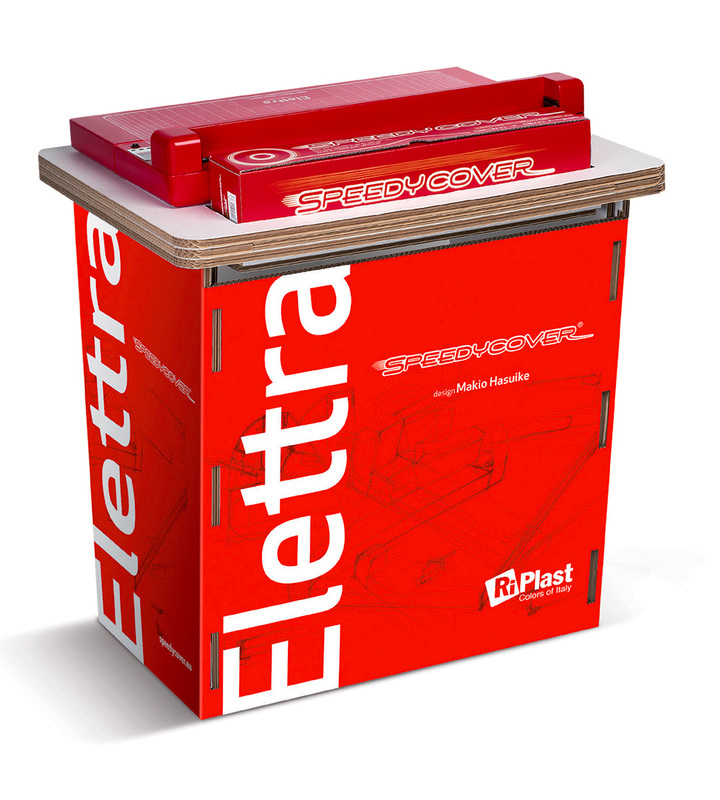 Find out about Elettra, the most innovative amongst the solutions! The most practical, fastest and eco-friendly device to cover books and documents of all sizes. Ask for it in the best stationery and book stores! Elettra is one but it works for three: it covers, protects and wraps. 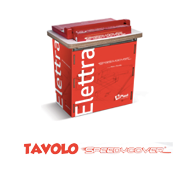 Elettra is a robust machine, designed and engineered for automatic, fast and efficient covering of books in different shapes and sizes. A unique and special feature of Speedycover also allows to cut and weld several types of plastic bags to any required size. It is 100% made in Italy, complies with European standards and is CE marked. While maintaining its robustness, Elettra comprises both functional and ergonomic innovations. It is equipped with a special pedal for cutting and welding, besides an easy to clean and replaceable welding blade which allows cutting and welding in less than 5 seconds. 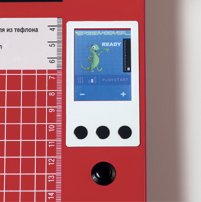 Elettra is also equipped with control display, RFID reader, hardware and software security system. When in standby it allows reduced power consumption. It is functional and easy to carry thanks to the new removale section. The graph film on the top helps placing books correctly. Welding and cutting in less than 5 seconds. Counter display and temperature setting. Running sensor and HW & SW Safety system. Easily replaceable blade. 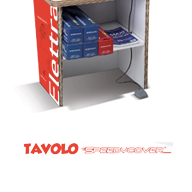 Electronic recognizing of Speedycover original consumables. Max power 500W. Standby power consumption 0.01 KWh. Special graph film to help align the books. Removable section for easy carrying. Treadle for cutting and welding. Power cord included. On/Off button. Voltage 220V. Teflon stick for blade cleaning. Elettra complies with European standards and is CE marked. Visit our website to know what’s new, ask for technical support, and start the 1 year Elettra warranty. Makio Hasuike boasts extensive experience with italian and foreign companies with his indubitable success over the years. 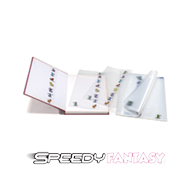 Makio Hasuike has now designed Elettra for SpeedyCover! 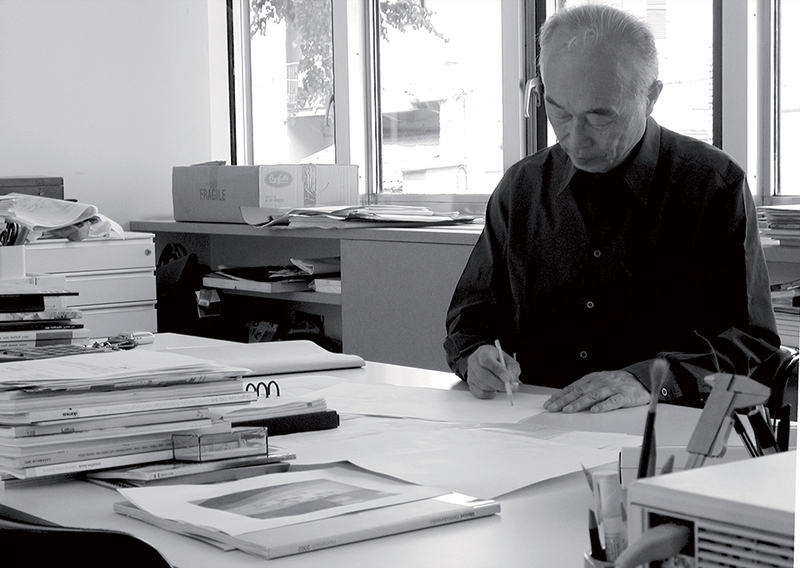 The Makio Hasuike and Co. studio, founded in Milan in 1968 is one of the top industrial design offices in Italy. He graduated from the University of Arts of Tokyo in 1962, beginning his activity in Japan where he worked as designer for Seiko, designing twenty watch typologies for the Tokyo Olimpics Games in 1964. Since 1963 he has been in Italy continuing his activity in different design fields. In 1968 he opened his own studio in Milan, Makio Hasuike Design. In 1982 he began an experimental project by creating and marketing a series of innovative carry-all, briefcase products: thus MH WAY is born. His 360° design activity places him at the heart of production and distribution aspects. He is a Member of the Founding Commettee of Strategic Design Master programme at the Milan Politecnico. He is frequently invited for juries in international design competition. His designs have been awarded with prestigious prizes such as Compasso d’Oro, Macef, Triennale, Smau, Bio (Lubiana), Design Plus (Francoforte), Design Preis (Stoccarda), Design Innovation (Essen), and they can be found in temporary and permanent exhibitions in several museums in the world, such as MoMa Ne York and Triennale Milano. 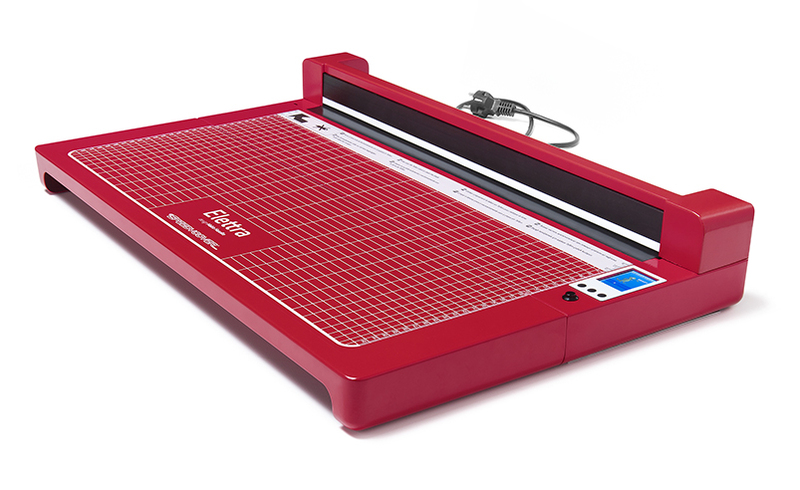 Elettra is RiPlast newest device for covering textbooks and welding bookmarks, for giftwrapping, as well as several more possibilities to protect and customize your paper items. Design, speed and versatility make Elettra a unique device on the market. Not only has it an appealing look and smooth silohuette, but it is also innovative and eco-friendly. Easy to use and easy to transport, Elettra is functional, ergonomic and allows extremely low plastic waste. ONE ROLL IS WORTH 100! You can choose from five different colors: blue, yellow, green, red and clear. With one roll it is possible to cover over 100 books. In 30 seconds the book is perfectly protected! 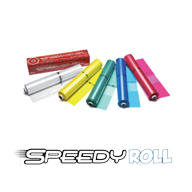 SpeedyRoll is a bi-folded plastic film roll used to cover books. The film is available in clear, red, blue, green and yellow. 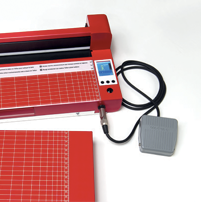 One roll allows covering of over 100 books in A4 size. Film waste is very low, in compliance with our sustainable consumption policy! 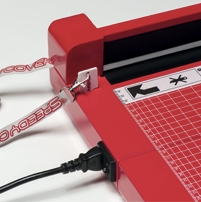 Covering books has never been so fast and easy… less than 30 seconds! One book, five colors: red, blue, yellow, green and clear. Regret not having a bookmark at hand? Disappointed for creasing and tearing the book pages? 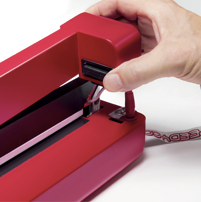 Weld this plastic flap onto the film while covering the book to have a bookmark and protect the pages at the same time. A simple and smart idea! IF THE BOOK IS BIG, THE COVER IS MAXI! 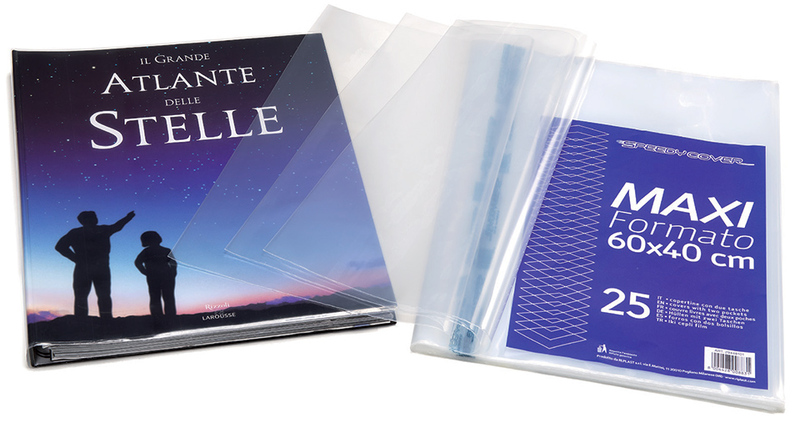 Our Maxi Covers (40×60 cm) have two side pockets for easy covering of over sized books, atlas etc. 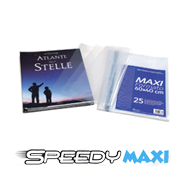 MAXI Cover is made of transparent, 80µ PE. Size 40x60cm. Available in packs of 25 items, boxes of 200 items. A smart book cover with four-color printing. Pre-folded cover for books, exercise books, business folder… With lots of nice fancy prints. 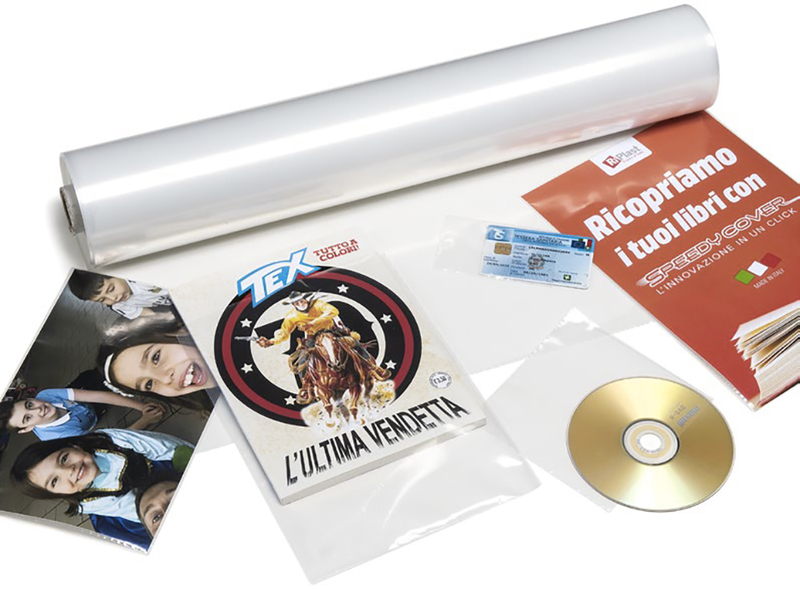 Protect without laminating: this is the innovation of SpeedyPack. SpeedyPack will cover and protect your photographs, posters, drawings, brochures and documents, without sticking. 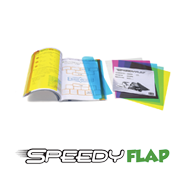 SpeedyPack is a special non adhesive plastic film roll for covering any kind of documents: ID cards, school diplomas, garments… Simple and clever. 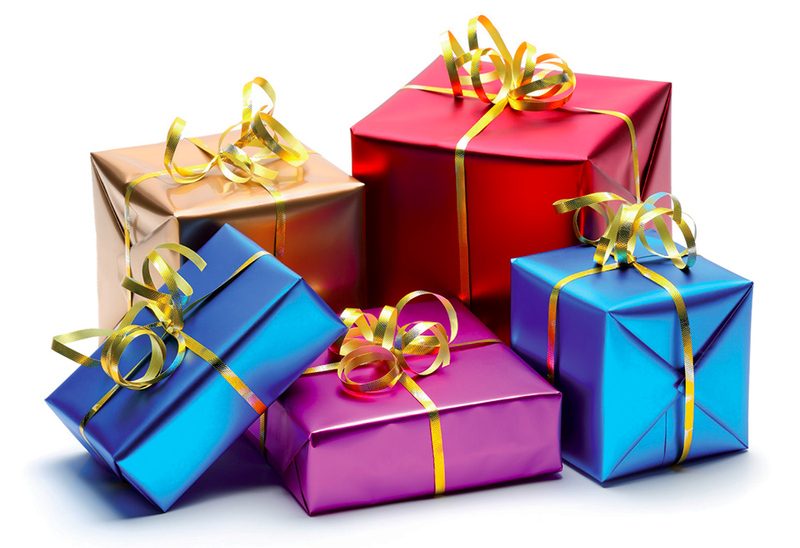 NICE WRAPPING FOR BEAUTIFUL GIFTS! Make your own unique gift wap! 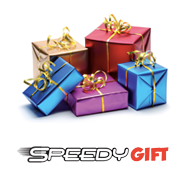 Blues and Elettra allow bespoke gift wrapping, by using Speedygift bags. The gift bags can be shaped to match customer’s needs. A unique, distinctive and qualifying service! 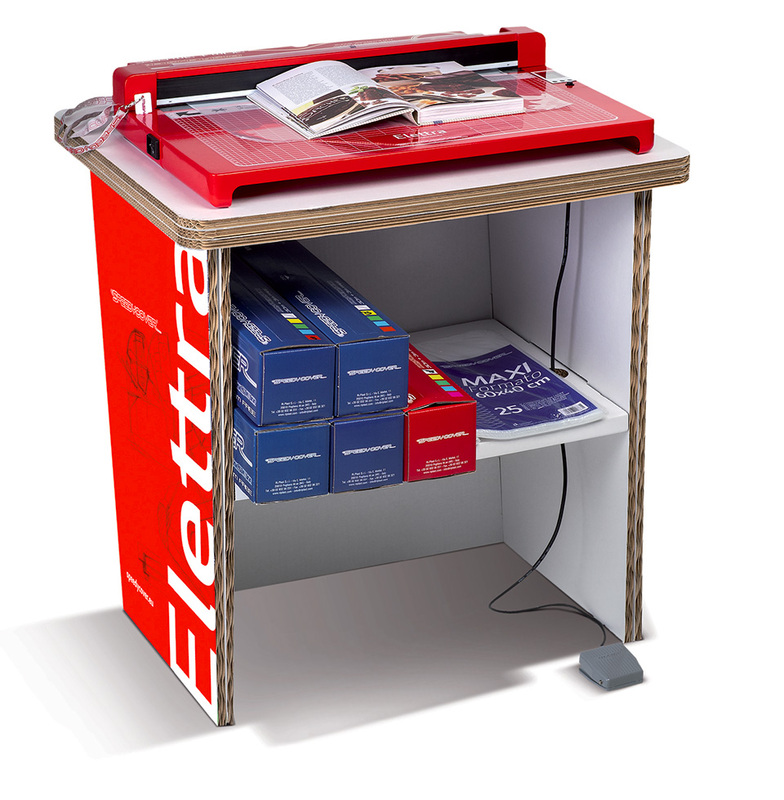 The work table for Elettra, with a slot for SpeedyRoll and a comfortable pedal. Once signed in, you can view and edit your personal data, manage your Elettra devices and contact RiPlast. 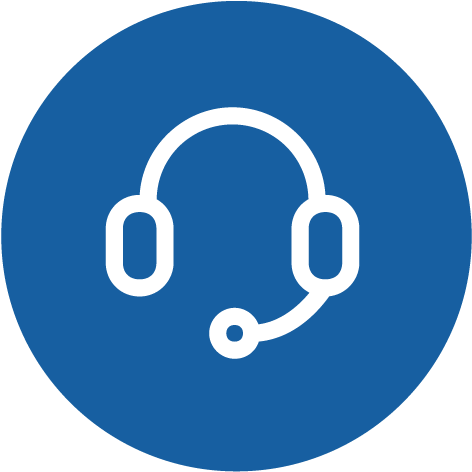 From your account you can ask for technical support for your Speedycover through few simple steps. You will also receive our newsletter with the latest news from RiPlast world! We are always available! You are always welcome to experience the potentials of Elettra at our head offices in Pogliano Milanese. … OR CONTACT US NOW!